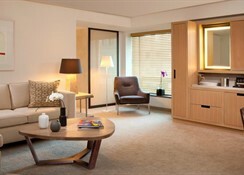 Hotel Conrad New York is located in the heart of New York's financial district, overlooking the Hudson River. 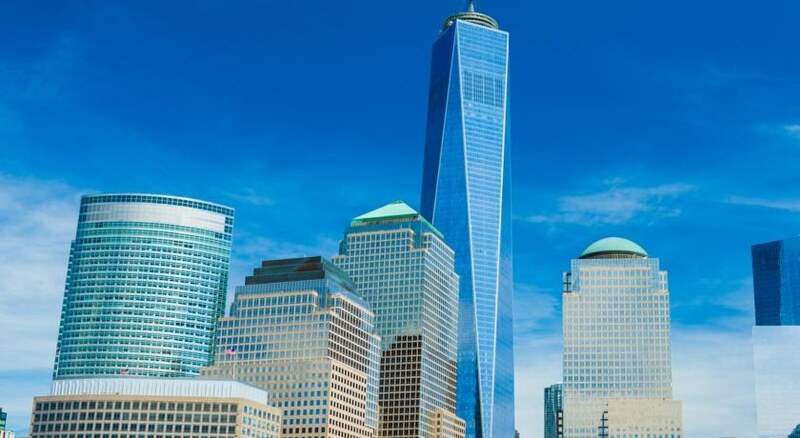 Being so close to the river, the hotel’s guestrooms offer the perfect vantage point for the Statue of Liberty, Ellis Island and the new One World Trade Centre. 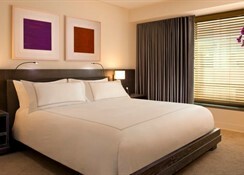 Other sites and attractions such as Wall Street's New York Stock Exchange are within walking distance from the hotel. The subway station close to the hotel lets you explore all parts of the city with ease. After a busy day out in the city, retire to your room, which have sleek, stylish décor and contemporary artwork, flat screen TVs, and a spacious bath and a rainfall shower. Start your days at the Conrad New York with a delicious breakfast, which is included in the room rate. You can also explore other amenities at the hotel including the fitness area. Conrad New York is located on Manhattan Island offering great views of the Hudson as well as close proximity to several restaurants, bars and shopping malls. The Statue of Liberty is only 2.2km from the property, Empire State Building – 5.6km, Times Square – 6.8km, JFK International Airport – 41.9km. 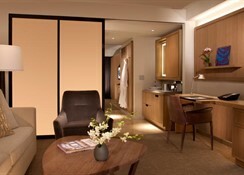 Conrad New York offers a total of 463 suites for guests. Complete with world class amenities and showcasing lush interiors and grand décor, guests can choose from Deluxe Suites, Hudson River View Suites, Hudson River View with Sofa Bed, Executive Suites, Luxury Suites, Conrad Suite and Accessible Suites. Room amenities include seating area, desk, telephone, and internet- wLan / Wi-Fi. 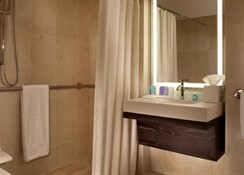 Facilities also include a bathtub or shower, toiletries, bathrobe, a hair dryer and more. The hotel features a restaurant and a rooftop bar. The Atrio Restaurant offers American cuisine with a host of options of food and drink. The Loopy Doopy Rooftop Bar is open from April to November and offers a host of signature cocktails and other alcoholic and non-alcoholic beverages. Sixteen stories above street level, the Conrad New York’s seasonal "green roof" features a beautiful rooftop bar with endless views of New York Harbour and Manhattan. The hotel has almost 2790 square meters of adaptable meeting space, which includes the Gallery room, of 575 square meters. Danny Meyer's Union Square Events is the exclusive catering partner at the hotel's conference and event facilities. There is a state of the art fitness centre, and a spa offering a host of beauty and wellness services.